Welcome to Work Week! 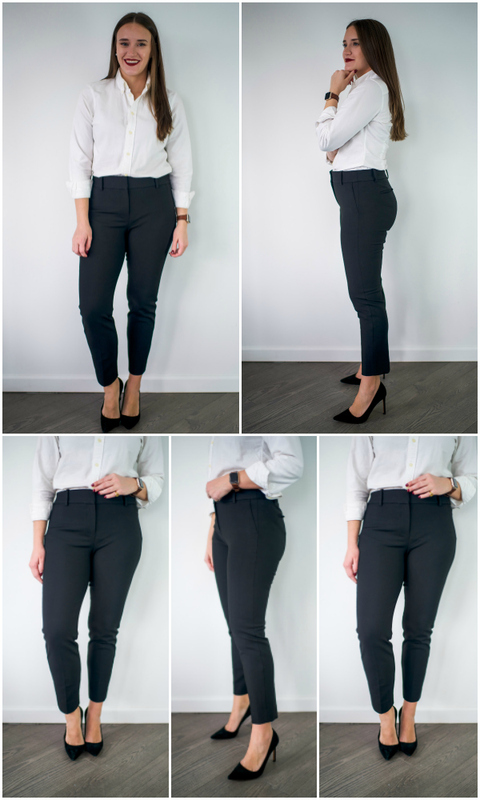 We're starting out today with an in-depth review of the most popular work pants and breaking down the best of the best. For those of you who don't follow along on Instagram stories, I decided on creating a full week of content focused around what to wear to work (aka: work week). I'm really excited and looking forward to the week -- if all goes well (blog traffic, interest, sales) I'm thinking of creating a weekly series where one post focuses in on a what to wear to work fashion post. I feel like I'm in a unique position since I still have my 9-5 job as well as being a blogger. So I wanted to take advantage of that and help everyone who has a more business styled office. I'm pretty lucky where right now my office is very casual (like jeans/sneakers/hats casual). So I've never really had to shop for new work clothes (spoiler: it's expensive AF). But I am however being transitioned over to the Commissioners office on Park Ave which has a no jeans/business casual office attire. I'll only be up there once a week but I thought what better opportunity to pair my new office to a new series and go through this all together! About two weeks ago I stopped by Banana after work one day to get my first pair of work pants for the new office (I was still wearing skirts-- it's winter). I tried on every style they had and found two that I really loved. Purchased them and wore one pair to work the next day. 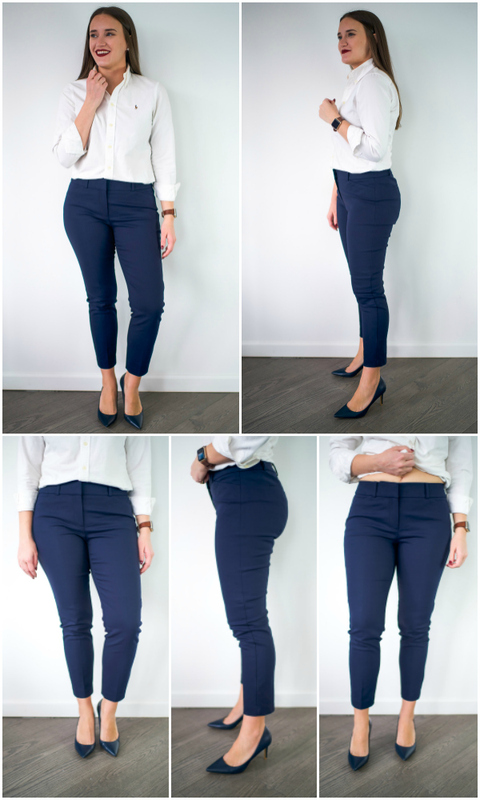 Then last week I got the idea that I should do a review of work pants from the usual places like Loft, J. Crew, Ann Taylor and the like. Thought not only would it be great for me to learn but I could also make an awesome blog post out of it (hello). And so I embarked on a very expensive and time consuming mission of trying on every type of work pants in just about every store in Flatiron. I left exhausted, less rich (lol) and with four new styles of pants. One thing I learned -- outside of work attire being really expensive -- is that all the pants are just about the same. You'll see more below but there aren't really any major differences in the pants I picked up. I now understand why guys have one pair of each color of pants that they rotate through. I feel like I would do the same. But alas it's not a full review without finding the best of the best and finding a clear cut winner. I was pretty surprised at what I found out and even more surprised that I have some AMAZING new work pants that I now want to wear all the time. Also.. of course a minor disappointment in the one pair of pants I already wore to work would be the ones I would like to return the most :/ FYI I am 5'6 and normally a 6 in dresses 6/8 (mostly 8) in bottoms. SO ANYWAY lets get to it!! Pros: I love how stretchy they are and so appreciate how they sit so high up on the waist. I also appreciate that the zipper is on the hip -- no other pants I've tried on have done that! Cons: They are on the pricy side compared to similar pants and I wish they had more tummy control at the top. Pros: They are well made and have a nice structure to the legs and the top band helps to hold you in. The length is also perfect hitting right at the top of the shoe. Cons: The price (again) They are not as comfortable as the other pants I've tried on. They still are comfortable to wear but just not *as* comfortable. I wish they had a longer crotch. Pros: Loft is always great about sales -- so these pants will always be cheaper than $70. These are so so comfortable! Pros: You can't beat the price of course but the #1 thing I love about these is the fact that they feel like leggings!! They are so comfortable I'm surprised every single time I put them on. Cons: They are tight (which isn't a con for me) and it's possible they can stretch out over time. Pros: The price is a big leading factor here -- they are also comfortable and stretchy so you are free to move around. Cons: You can tell they're not as good of material as the others but not by much! Pros: I LOVE how these pants really hold you in -- the tag said they have a "pocket technology that holds you in, lifts you up and is really comfortable" -- all of which I agree with!! Cons: I am wearing an 8 above but the person in store said they are known to stretch out some over time. I grabbed the 6 in a blue color and they are on the snug side but still fit very nicely! And I just wanted to also mention that there were some styles of work pants and stores that I just did not like!! These are my favorites from every store so while there are still "cons" to some, they are still the ones I bought to keep because they were my favorite I tried on. I went into Ann Taylor and didn't like ANY of them so that's why they're not featured above. You still with me?? 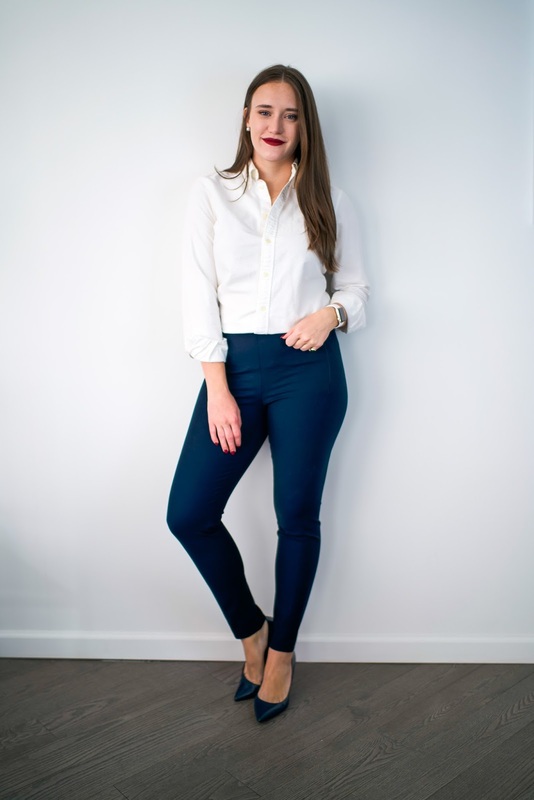 I'd love to hear from you guys below in the comments -- what's your favorite work pant? Have you tried any of the above? Any other suggestions of places I should check out? I would LOVE to hear from you guys below!